Hospital and Wellness sector is the most sensitive and critical area. We have a wide range of products and services especially catered to meet all the requirements of medical industry. All these products play a major role in the resuscitation and other various surgeries. Used widely as life support system, we also have medical products that are necessary for neonatology treatments. All the products are developed taking into consideration the requirements and standards of health and wellness sector. For specific medical procedures, we have also facilities to customize the systems so that hospital and wellness demands can be furnished efficiently. we assure the full proof performance of our products and services for hospitals. Some of the tried and tested medical techniques and advancement are implemented while developing our range. Highly efficient in performance and safety, these products form a very important part of any medical procedure. Central pipeline system (CPL) for all type of gas in hospital. High pressure pipeline system for industrial purpose. 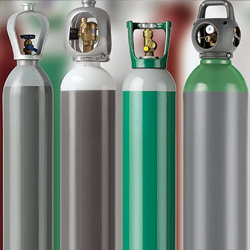 Trading of all type of high pressure cylinder.